It's time to get involved!! On July 15th Representative Jack Kingston (R-GA) introduced HR 3226, Czar Accountability and Reform (CZAR) Act of 2009. When I first learned about this bill yesterday there were 29 co-sponsors, today there are 31. We The People need to support this in every way we can. I don't see any Missouri Representatives on the list of co-sponsors. Let's make some calls. It's about time Republicans got off their duffs and started doing something about this novice and his thugs trying to take over our country and disassembling our Constitution. And from what I've been reading there are also some high profile Democrats not liking the way this smells. Republicans file the Czar Act of 2009 It's time to tell Obama "Hell no you can't!" Republican Representative Jack Kingston (GA) and 29 Republican co-sponsors filed legislation that would force Obama to actually be accountable by vetting his Czars. This is probably one of the most needed pieces of legislation that we will see in our lifetimes. Obama has a list of 34 Czars – some ‘positions’ that still need to be filled but of that number 27 have not been vetted by Congress. In 6 months Obama has taken it upon himself to bypass Congress and the American people by appointing his very own ‘shadow government’. The Czars report directly to him and are not held accountable to Congress; therefore, not held accountable to the American people – who pay their salaries. This clearly states that what Obama is doing by appointing Czars left and right is a violation of the Constitution. I realize that Obama doesn’t seem to think much of our Constitution but we, the people, DO. The only government officials who can make policy are the members of Congress who WE nominate. The ‘Pay Czar’ cannot tell anyone what their salaries or bonuses will be limited to, it has to be legislated by Congress. Yet Obama seems to think that his Czars can do whatever they want and most people probably don’t understand that his ‘Yes we can’ is really our “Hell no you can’t”. Finally someone is standing up for us against Obama’s outrageous appointments. I am currently researching Obama’s ‘Shadow government’ appointees and so far I am finding that some of these people are clearly radicals like Obama. There is at least one Socialist (Carol Browner), a fellow ACORN organizer (Adolfo Carrion Jr.), a complete nut job who wrote a book about sterilizing people to quash the growing population (John Holdgren) and his latest appointment Cass Sustein who believes that animals should have the same rights as people, including bringing lawsuits against people. These Czars are clearly not representative of America or Americans. They should not be anywhere NEAR the White House or Capitol Hill other than to attend one of Obama’s Wednesday night soirees. Presidents in the past have had Czars but they usually act as advisors and do not make policy. Obama has specifically appointed these people to make policy. 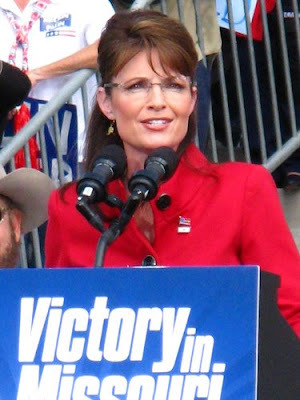 The most Czars in any administration was during George Bush’s reign who appointed 14 Czars in 8 years. 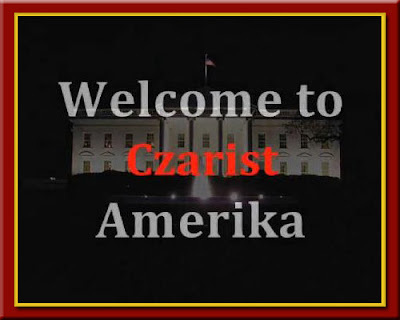 Obama has appointed twice the amount of Czars in 6 months as Czarist Russia had in 300 years! As Kingston points out on his website: “At this rate, we will have: 272 czars in Obama’s fist term (48 months) 544 czars if he lasts two terms (96 months)”. This is obviously Obama’s attempt to bypass Congress to further push his radical agenda by appointing radicals to make policy. We all must push for this Act to be brought to a vote and passed. This is for our present and our future. We cannot let the House Oversight and Government Reform Committee sit on this. After reviewing some of the representatives who are on the Committee, it is clear that this may be a battle as it is filled with partisan party-line-voting Democrats -Tierney, Maloney, Kennedy, Kucinich - are some examples. Email, call, write, fax every member of the Committee to let it be known that WE, THE PEOPLE, are aware of the Act and fully support it. The Republicans have brought this Act forward, it is now up to us to tell Obama “Hell no you can’t”. Once again the Democrats want to push thru 1,017 pages of garbage that will destroy America from the ground up. They took over the banks, they took over the auto industry and now they're trying to rush through an atrocity without reading it. Again. Americans have started speaking out, loudly, and the representatives are hearing. We have a short pause in their plan, but make no assumptions, Pelosi and Obama want this passed NOW. These are perilous times. Mrs. Hillary Clinton, our Secretary of State, has given Iran the go-ahead to have nuclear weapons, an unqualified betrayal of the nation. Now, we face a devastating loss of freedom at home in health care. It will be joined by controls on our lives to "protect us" from global warming, itself largely a fraud if believed to be caused by man. Pg 16: SEC. 102. PROTECTING THE CHOICE TO KEEP CURRENT COVERAGE. lines 3-26 of the HC Bill – OUTLAWS PRIVATE INSURANCE by forbidding enrollment after HR 3022 is passed into law. Pg 21-22: SEC. 113. INSURANCE RATING RULES of the HC Bill MANDATES the Government will audit books of ALL EMPLOYERS that self insure!! Pg 29: SEC. 122. 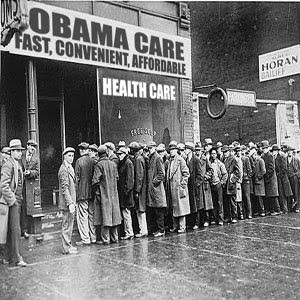 ESSENTIAL BENEFITS PACKAGE DEFINED: lines 4-16 in the HC bill – YOUR HEALTHCARE IS RATIONED!!! Pg 30: SEC. 123. HEALTH BENEFITS ADVISORY COMMITTEE of HC bill – THERE WILL BE A GOVERNMENT COMMITTEE that decides what treatments/benefits you get. Pg 42: SEC. 142. DUTIES AND AUTHORITY OF COMMISSIONER of HC Bill – The Health Choices Commissioner will choose your HC Benefits for you. You have no choice! PG 50-51: SEC. 152. PROHIBITING DISCRIMINATION IN HEALTH CARE in HC bill – HC will be provided to ALL non US citizens, ILLEGAL or otherwise. Pg 58: SEC. 163. ADMINISTRATIVE SIMPLIFICATION HC Bill – Government will have real-time access to individual’s finances and a National ID Healthcard will be issued! Pg 59: SEC. 163. ADMINISTRATIVE SIMPLIFICATIONHC Bill lines 21-24 Government will have DIRECT access to your BANK ACCOUNTS for electronic funds transfer. This means the government can go in and take your money right out of your bank account. PG 65: SEC. 164. REINSURANCE PROGRAM FOR RETIREES is a payoff subsidized plan for retirees and their families in Unions and community orgs (ACORN). Pg 72: SEC. 201. ESTABLISHMENT OF HEALTH INSURANCE EXCHANGE; OUTLINE OF DUTIES; DEFINITIONS Lines 8-14 Government is creating an HC Exchange to bring private HC plans under Government control. PG 85: SEC. 203. 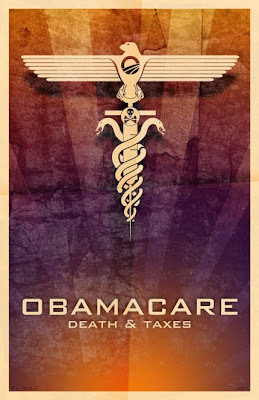 BENEFITS PACKAGE LEVELS Line 7 HC Bill – SPECIFICATION OF BENEFIT LEVELS FOR PLANS = The Government will ration your Healthcare! PG 91: SEC. 204. CONTRACTS FOR THE OFFERING OF EXCHANGE-PARTICIPATING HEALTH BENEFITS PLANS Lines 4-7 HC Bill – Government mandates linguistic appropriate services. Example – Translation for illegal aliens! Pg 95: SEC. 205. OUTREACH AND ENROLLMENT OF EXCHANGE-ELIGIBLE INDIVIDUALS AND EMPLOYERS IN EXCHANGE-PARTICIPATING HEALTH BENEFITS PLAN HC Bill Lines 8-18 The Government will use groups i.e., ACORN & Americorps to sign up individuals for Government HC plan. PG 102: SEC. 205. OUTREACH AND ENROLLMENT OF EXCHANGE-ELIGIBLE INDIVIDUALS AND EMPLOYERS IN EXCHANGE-PARTICIPATING HEALTH BENEFITS PLAN Lines 12-18 HC Bill – Medicaid Eligible Individuals will be automatically enrolled in Medicaid. No choice! pg 124: SEC. 223. PAYMENT RATES FOR ITEMS AND SERVICES lines 24-25 HC No company can sue the GOVERNMENT on price fixing! No “judicial review” against Government Monopoly!! pg 127: SEC. 225. PROVIDER PARTICIPATION Lines 1-16 HC Bill – Doctors/ AMA – The Government will tell YOU what you can make. Pg 145: SEC. 312. EMPLOYER RESPONSIBILITY TO CONTRIBUTE TOWARDS EMPLOYEE AND DEPENDENT COVERAGE Line 15-17 An Employer MUST auto enroll employees into public option plan. NO CHOICE!! Pg 146: SEC. 312. EMPLOYER RESPONSIBILITY TO CONTRIBUTE TOWARDS EMPLOYEE AND DEPENDENT COVERAGE Lines 22-25 Employers MUST pay 4 HC 4 part time employees AND their families. Pg 149: SEC. 313. EMPLOYER CONTRIBUTIONS IN LIEU OF COVERAGE Lines 16-24 ANY Employer with payroll of $400k and above who does not provide public option pays 8% tax on all payroll. pg 150: SEC. 313. EMPLOYER CONTRIBUTIONS IN LIEU OF COVERAGE Lines 9-13 Business’s with payroll between $251k – $400k who doesn’t provide public option pays 2-6% tax on all payroll. Pg 167: SEC. 401. TAX ON INDIVIDUALS WITHOUT ACCEPTABLE HEALTH CARE COVERAGE Lines 18-23 ANY individual who doesn’t have acceptable HC according to Government will be taxed 2.5% of income. Pg 195: HC Bill – SEC. 421. CREDIT FOR SMALL BUSINESS EMPLOYEE HEALTH COVERAGE EXPENSES Officers and employees of HC Administration (GOVERNMENT) will have access to ALL Americans financial and personal records! PG 203: SEC. 441. SURCHARGE ON HIGH INCOME INDIVIDUALS Line 14-15 HC – “The tax imposed under this section shall not be treated as tax” Yes, it says that! Pg 239: SEC. 1121. SUSTAINABLE GROWTH RATE REFORM Line 14-24 HC Bill Government will reduce physician services for Medicaid. Seniors, low income, poor affected. Pg 241: SEC. 1121. SUSTAINABLE GROWTH RATE REFORM Line 6-8 HC Bill – Doctors, doesn’t matter what specialty you have, you’ll all be paid the same. SCHEDULE Line 10-18 Government sets value of Doctor’s time, professional judgment, etc. Literally value of humans. PG 265: SEC. 1131. INCORPORATING PRODUCTIVITY IMPROVEMENTS INTO MARKET BASKET UPDATES THAT DO NOT ALREADY INCORPORATE SUCH IMPROVEMENTS. Government mandates and controls productivity for private HC industries. PG 272: SEC. 1145. TREATMENT OF CERTAIN CANCER HOSPITALS – Cancer patients – welcome to rationing! Page 280: SEC. 1151. REDUCING POTENTIALLY PREVENTABLE HOSPITAL READMISSIONS The Government will penalize hospitals for what Government deems preventable readmissions. Pg 298: SEC. 1151. REDUCING POTENTIALLY PREVENTABLE HOSPITAL READMISSIONS Lines 9-11 Doctors! Treat a patient during initial admission that results in a readmission? Government will penalize you. Pg 317: SEC. 1156. LIMITATION ON MEDICARE EXCEPTIONS TO THE PROHIBITION ON CERTAIN PHYSICIAN REFERRALS MADE TO HOSPITALS Lines 13-20 OMG!! PROHIBITION on ownership and investment! Government tells Doctors what and how much they can own! Pg 317-318: SEC. 1156. LIMITATION ON MEDICARE EXCEPTIONS TO THE PROHIBITION ON CERTAIN PHYSICIAN REFERRALS MADE TO HOSPITALS lines 21-25, 1-3 PROHIBITION on expansion – Government is mandating hospitals cannot expand! pg 321: SEC. 1156. LIMITATION ON MEDICARE EXCEPTIONS TO THE PROHIBITION ON CERTAIN PHYSICIAN REFERRALS MADE TO HOSPITALS Lines 2-13 Hospitals have option to apply for exception BUT community input required. Can you say ACORN?!! Pg 341: SEC. 1162. QUALITY BONUS PAYMENTS Lines 3-9 Government has authority to disqualify Medicare Advantage Plans, HMOs, etc. Forcing people into Government plan. Pg 354: SEC. 1177. EXTENSION OF AUTHORITY OF SPECIAL NEEDS PLANS TO RESTRICT ENROLLMENT – Government will RESTRICT enrollment of Special needs people! OMG! My sister has Downs Syndrome!!! Pg 379: SEC. 1191. TELEHEALTH EXPANSION AND ENHANCEMENTS Government creates more bureaucracy – Telehealth Advisory Committee Can you say HC by phone? Pg 425: SEC. 1233. ADVANCE CARE PLANNING CONSULTATION Lines 17-19 Government will instruct and consult regarding living wills, durable powers of attorney. Mandatory! PG 425: SEC. 1233. ADVANCE CARE PLANNING CONSULTATION Lines 22-25, 426 Lines 1-3 Government provides approved list of end of life resources, guiding you in death! PG 427: SEC. 1233. ADVANCE CARE PLANNING CONSULTATION Lines 15-24 Government mandates program for orders for end of life. The Government has a say in how your life ends! Pg 429: SEC. 1233. ADVANCE CARE PLANNING CONSULTATION Lines 1-9 An “advance care planning consultant” will be used frequently as patients health deteriorates. Pg 429: SEC. 1233. ADVANCE CARE PLANNING CONSULTATION Lines 13-25 – The Government will specify which Doctors can write an end of life order. PG 430: SEC. 1233. ADVANCE CARE PLANNING CONSULTATION Lines 11-15 The Government will decide what level of treatment you will have at end of life. Pg 469: SEC. 1302. 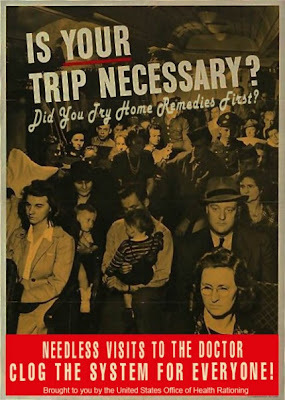 MEDICAL HOME PILOT PROGRAM Community Based Home Medical Services=Non profit organizations. Hello, ACORN Medical Services here!!? Page 472: SEC. 1302. MEDICAL HOME PILOT PROGRAM Lines 14-17 PAYMENT TO COMMUNITY-BASED ORG. 1 monthly payment 2 a community-based org. Like ACORN? Pg 494-498: SEC. 1308. COVERAGE OF MARRIAGE AND FAMILY THERAPIST SERVICES AND MENTAL HEALTH COUNSELOR SERVICES Government will cover Mental Health Services including defining, creating, rationing those services. It turns out the president misjudged the nation's mood. You know that if the New York Times has to call Obama out on a lie it must have been a whopper. I mean a really, really huge and a really, really flagrant lie. And so, as Mona Charen writes, it was. The lie is that Obama has cut $2.2 trillion from the national deficit over the next 10 years. He invented this number by assuming that - a full decade from now - American troop levels in Iraq would be unchanged. But of course Bush had already paved the way for troops to come home within 3 years, and so pretending that Obama can take credit for the savings is absurd. There were so many examples of presidential mendacity on view Wednesday night that I had planned to itemize a few in this column. But since even the New York Times is challenging a number of presidential whoppers — for example, Obama's assertion that "if we had done nothing, if you had the same old budget as opposed to the changes we made, the deficit over the next ten years would be $2.2 trillion greater" is pure deception. Okay, the Times didn't use that word, but reporters Peter Baker and Robert Pear did say, "In fact, $1.5 trillion of those 'savings' are mainly based on an assumption that the United States would have had as many troops in Iraq in 10 years as it did when Mr. Obama took office. . . . Before he left office, President George W. Bush . . . mandated the withdrawal of all American forces within three years. So Mr. Obama is claiming credit for not spending money that . . . would never have been spent in the first place." Congratulations to the New York Times. It's starting to seem that Professor Slughorn's antidote to the love potion has worked. If Obama is being that dishonest about the budget deficit numbers, how much can we trust his numbers on the costs of health-care reform? Wow, even the NYT can't follow Obama down that path of dishonesty. How much more proof do we need that the Obama charm is wearing off? The mainstream press swore fealty to him because they saw him as validation and salvation all in one. 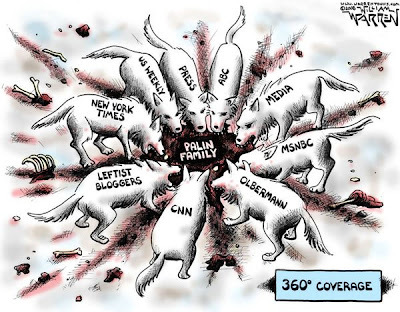 As the myth fades, so will the media's support. THE FACTS: In House legislation, a commission appointed by the government would determine what is and isn't covered by insurance plans offered in a new purchasing pool, including a plan sponsored by the government. The bill also holds out the possibility that, over time, those standards could be imposed on all private insurance plans, not just the ones in the pool. Indeed, Obama went on to lay out other principles of reform that plainly show the government making key decisions in health care. He said insurance companies would be barred from dropping coverage when someone gets too sick, limits would be set on out-of-pocket expenses, and preventive care such as checkups and mammograms would be covered. It's true that people would not be forced to give up a private plan and go with a public one. The question is whether all of those private plans would still be in place if the government entered the marketplace in a bigger way. OBAMA: "I have also pledged that health insurance reform will not add to our deficit over the next decade, and I mean it." OBAMA: "You haven't seen me out there blaming the Republicans." The AP reported: Senate Democratic leaders on Thursday abandoned plans for a vote on health care before Congress' August recess, dealing a blow to President Barack Obama's ambitious timetable to revamp the nation's $2.4 trillion system of medical care. Senate Majority Leader Harry Reid, D-Nev., delivered the official word on what had been expected for weeks, saying, "It's better to have a product based on quality and thoughtfulness rather than try to jam something through." This is not the time to let up. The calls and faxes from patriots all across the nation are the only reason this bill has been slowed down in the first place. The Democratic opposition is rebuilding momentum now because our intensity is flagging. It’s time to get back on the ball immediately. These are the so-called “blue dogs” on the Energy and Commerce Committee. With the right pressure they can stop this from even coming to a vote. Tell them you oppose government-run health care and that you know that’s exactly what the House bill is. Obviously these congressman aren't from our district, you might get some flack about calling outside your district, simply explain that this legislation effects everyone, and that you are more than capable of sending campaign contributions to opponents of the aforementioned representatives, regardless of district. Usually, though, you won't get any nonsense about that; the people who answer the phone are used to receiving calls from other states and other districts. Be polite, but be firm! NO NATIONALIZED HEALTH CARE! PERIOD! Hands off our health care. End of story. If someone tries to argue with you tell them not to bother; you know what they’re up to and you’re not buying it. If you get an answering machine that’s fine; just leave a message. If you get a busy signal, call back. 3) Call your own representatives. If you want to email and fax them in addition to calling them that’s even better, but BE SURE you call them. That’s the most immediate and effective way to go on record for or against any kind of legislation. Here’s the contact info for Congress: http://www.house.gov/. If you don’t know who your Congressman is you can find out by looking in the upper left hand corner where it says “Find Your Representative.” Just enter your zip code in the space provided; a link with your representative’s name will pop up. Follow the link and you should be able to find all of your representative’s contact info. Usually there will be either be a “contact” tab that will take you directly to your representative’s contact info or a “services” tab that opens up a drop-down menu that includes a “contact” link. 4) Lastly, SPREAD THE WORD! It’s high time people started to wake up. If there are people you know who don’t have this info and don’t know what’s going on, enlighten them. They must be awakened. If you have your own Facebook group, send the info out that way. The media does not get our message out, so it’s up to each of us to be the Paul Reveres of the 21st century. I keep hearing the term Oligarchy Government and I had to go back and refresh my memory of the forms of government. I highly recommend the refresher course. I believe we're living the "if" part. You are Invited to Learn how YOU Can Make a Difference in Your Community! 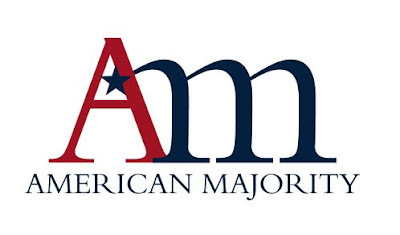 American Majority will be holding an Activist Training on Friday, July 24th in the St. Louis area to equip common citizens to be active and effective voices for change in their communities. On April 15th, nearly 8,000 members of the St. Louis community turned out to voice their support of liberty and constitutional principles. This training will answer the question "what next?" 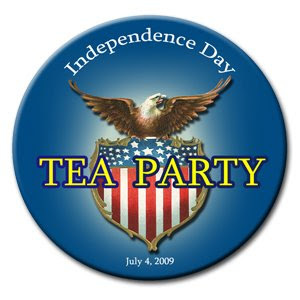 and provide practical how-to steps to keeping the tea party momentum and liberty movement going. The training will be from 10:00am to 3:00pm at the Saint Charles Convention Center at One Convention Center Plaza in St. Charles. Breakfast and lunch will be served. Additionally, a new media breakout session will be offered at the end of the training. Included in the training materials will be samples and supplements to help you apply what you learn in the training to your organization, candidate, cause or community. I will be attending this session on Friday. If anyone is interested I'd like to encourage you to contact KS@americanmajority.org or call 785-233-3800 to get more information &/or register. See you this evening at 6:30!! 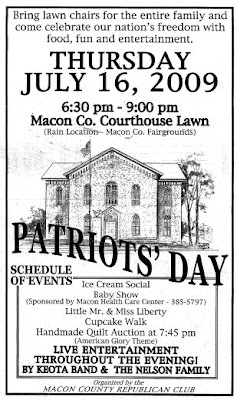 Thursday, July 16, 2009 at 6:30 P.M.
A casual old time ice cream social will be held on the lawn of the Macon Co. Courthouse. The event will feature an old fashioned patriotic celebration and live music provided by the Nelson Family and Keota. The Macon County Fairgrounds will serve as the rain location. Locals are invited to bring lawn chairs for the entire family and come celebrate our nation’s freedom with food, fun and entertainment. Macon Health Care Center will be sponsoring a baby show including age groups 0-6 months, 6-12 months, 12-18 months, and 18-24 months. The event will also include a Little Mr. & Miss Liberty contest for boys and girls ages 3-5 years that have not yet entered kindergarten. THE BABY SHOW WILL BEGIN AT 6 P.M. Registration will be at 5:30 P.M.
Prizes for the baby show and Little Mr. & Miss contest will include savings bonds provided by local banks. Several Macon Co. families will be providing a variety of hand-dipped homemade ice cream including vanilla, strawberry, chocolate, and butter pecan. Pies and cakes will also be provided from the kitchens of some of the area’s best cooks. Some desserts will be sold at auction. Also featured at auction will be a handmade quilt, "American Glory" by Sally Weber of Redman. Instruments featured in the group known as “North Missouri’s Premier Acoustic Band,” include guitars, upright bass, resonator, mandolin, and harmonica. The event is free and open to the public; a good will offering will be accepted. Keota is sponsored by Dwiggins Fireworks; the Macon Co. Republican Club is organizing the activities. For more information about the event, contact Darla Dwiggins at (660) 385-5092 or rooster1733@yahoo.com. 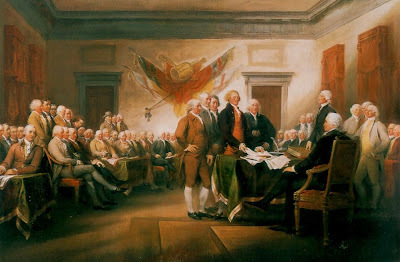 On this day, 233 years ago, a group of men, and, yes, they were men, assembled on a hot, rain drizzled day in Philadelphia, Pennsylvania to declare the American Colonies free and independent States absolved of all allegiance to the King of England, the British Crown, and the British Parliament. They went a small step further by pledging their own lives, fortunes, and sacred honor and that of their families in the pursuit of liberty. And, as if that were not enough, in a giant leap for mankind, they declared for the first time in human history that ALL men are created equal, that ALL men are born with certain rights that cannot be taken away by any government because those rights come from God, or Nature, or whatever source beyond man and governments one wishes to name. It is unfortunate that so few of the world's people, and so few Americans, have actually read the Declaration of Independence. It is also unfortunate that the few who have read it have not understood the words and great ideas expressed within. Mark it to the advance of time, the changing meanings of words, and perhaps the general apathy of people born to freedom and liberty to truly appreciate what was written eleven score and thirteen years ago. When I was in 8th grade American History, the local VFW presented each student with a pamphlet containing the Declaration of Independence and the US Constitution, a pamplet I still have, carry, and frequently refer. We were to memorize the Preamble of the Constitution and recite it in front of the class. I have long since forgotten the words of the Preamble, but I have not forgotten the part that was not required to be memorized -- "When in the course of human events, it becomes necessary for one people to dissolve the political bands which have connected them with another, and to assume among the powers of the earth, the separate and equal station to which the laws of nature and of nature's God entitles them, a decent respect to the opinions of mankind requires that they should declare the causes which impel them to the separation. -- We hold these truths to be self evident, that all men are created equal, that they are endowed by their creator with certain unalienable rights, that among these are Life, Liberty and the pursuit of Happiness. That to secure these rights, governments are instituted among men, deriving their just powers from the consent of the governed." 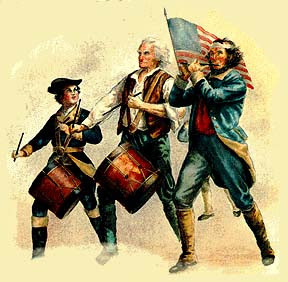 The Founders went on to declare that whenever any government tries to destroy the rights given by divine Providence, and force the people into unquestioning obedience under a tyrant, whether brutish or benevolent, the people have a right and a duty to replace that government, even by violent means; the people have a right to start a new government that will obey the law as set forth by the governed, as the free and independent people of Honduras did recently when their leftist president simply broached the idea of a second term despite their constitution's restriction of one presidential term. Our own head of state, Barack Hussein Obama, has publicly sided with the former Honduran president rather that with the people and Providence. There's a movement here today in America to repeal the 22nd Amendment that restricts the American president to two consecutive terms of office. H.J. Res.5 Obama is also a leftist and just the suggestion of breaching the people's trust, established by our first President who refused to serve more than two terms, may be too much to endure. [T]he language of the original Declaration of Independence ...are not simply words; they are Just words to be honored, preserved, protected, and understood if we are to remain a free and independent people blessed by whatever Divinity or Providence there may be and the one truth that remains - these are MY rights, these are OUR rights, and no man will take them away. Think about that for a moment. Other nations were founded on the basis of race, or by the power of kings or emperors who accumulated lands and the peasants who inhabited those lands. But America was—and is to this day—different. It was founded on a shared belief. Or, as Chesterton said, on a creed. I’ll never forget when I graduated from Brown University during the Korean War. I couldn’t wait to become a Marine officer, to give my life if necessary, to defend that creed. To defend the idea that our rights come from God Himself and are not subject to whims of governments or tyrants. That humans ought to be free to pursue their most treasured hopes and aspirations. Perhaps some 230 years later, we take these words for granted. But in 1776, they were earth-shaking—indeed, revolutionary. Yet today, they are in danger of being forgotten altogether. According to Gallup, 66 percent of American adults have no idea that the words, “We hold these truths . . .” come from the Declaration of Independence. Even worse, only 45 percent of college seniors know that the unalienable rights of life, liberty, and the pursuit of happiness are proclaimed in the Declaration. As America grows more and more diverse culturally, religiously, ethnically, it is critical that we re-embrace the American creed. 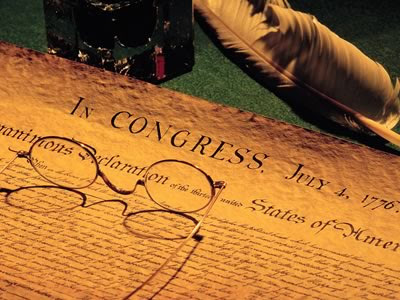 Listen—and thrill—to those words that bind us together as a nation of freedom-loving people: We hold these truths to be self-evident, that all men are created equal, that they are endowed by their Creator with certain unalienable rights, that among these are life, liberty and the pursuit of happiness. These are the words Americans live for and, if necessary, die for.